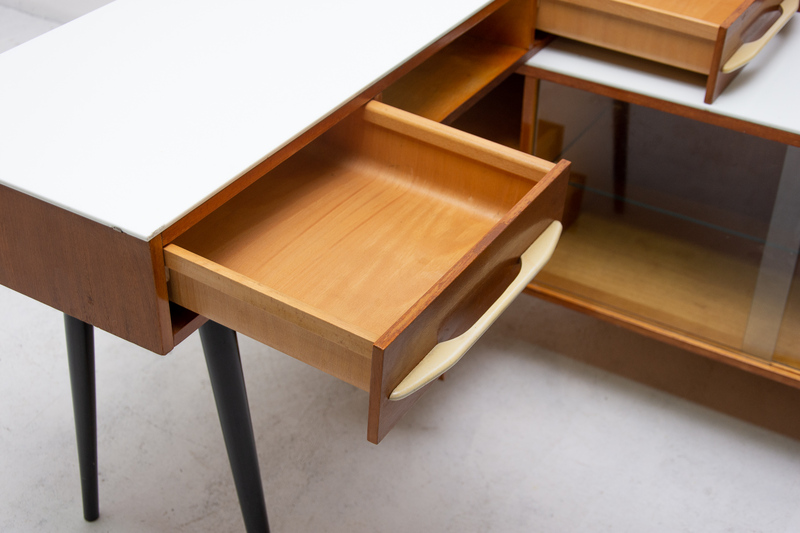 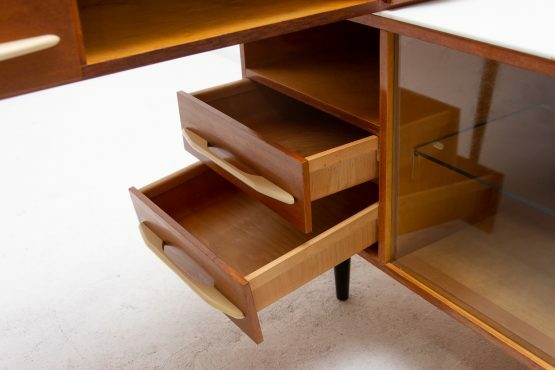 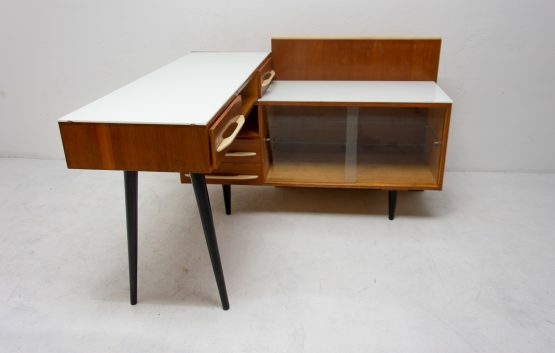 Mid century corner writing desk with a small bookcase. 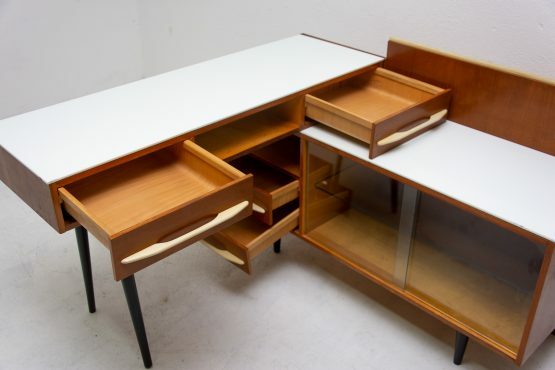 It was designed by Mojmír Požár for ÚP Závody. 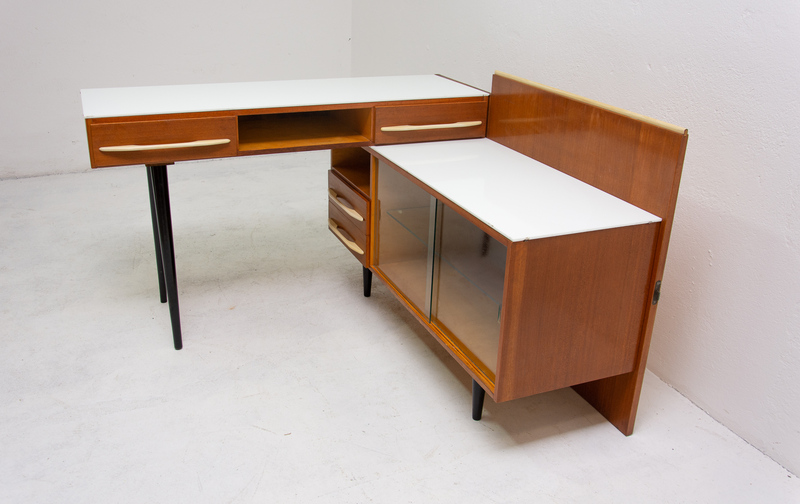 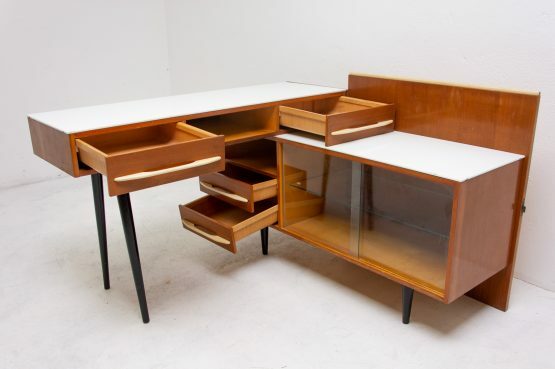 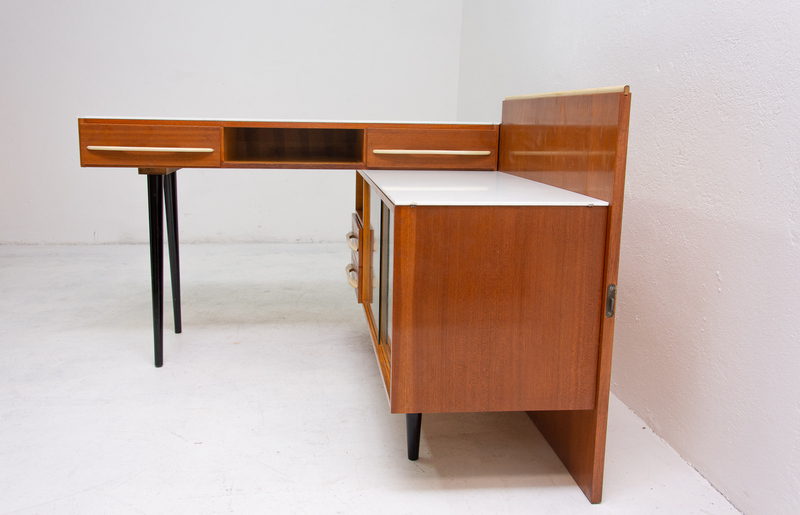 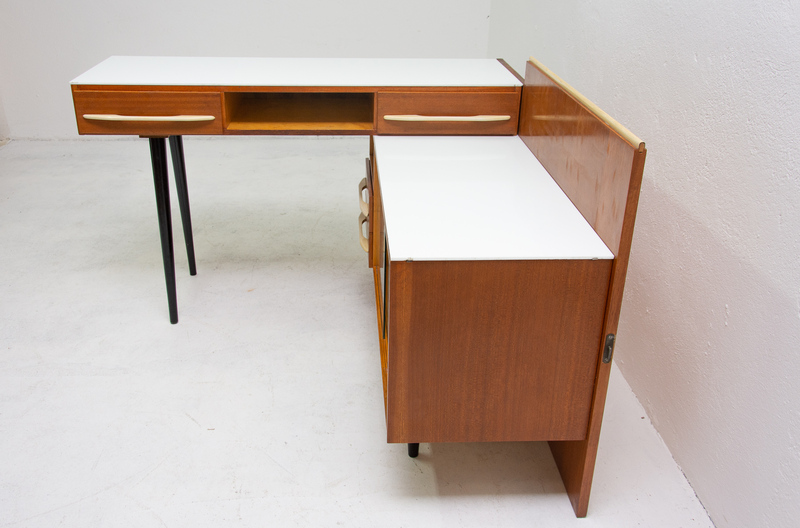 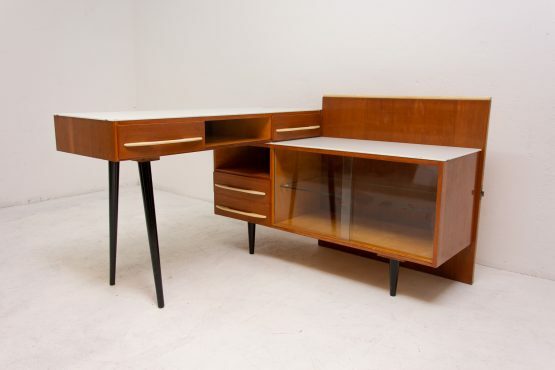 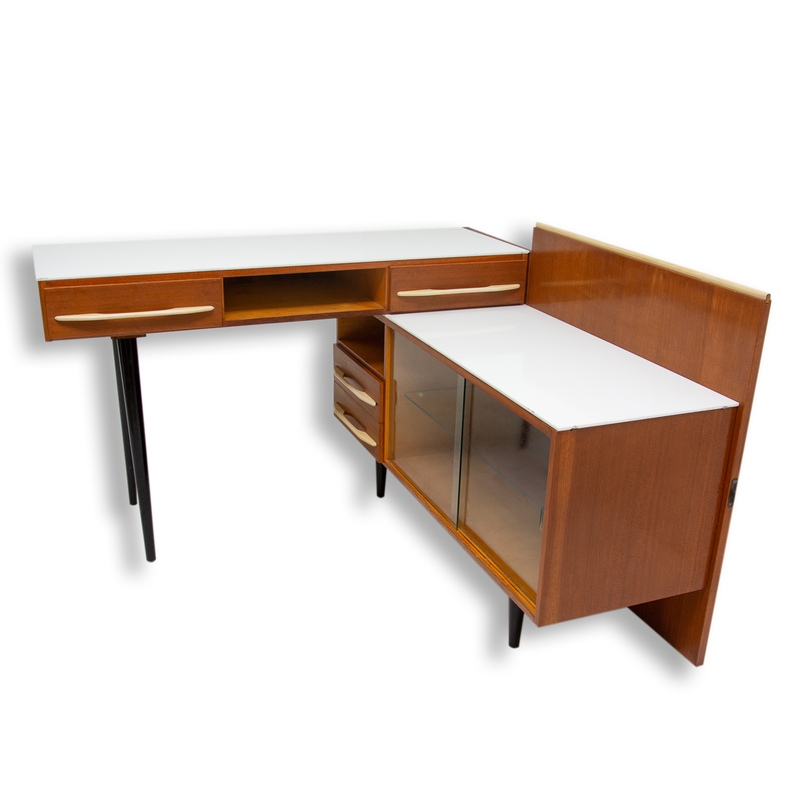 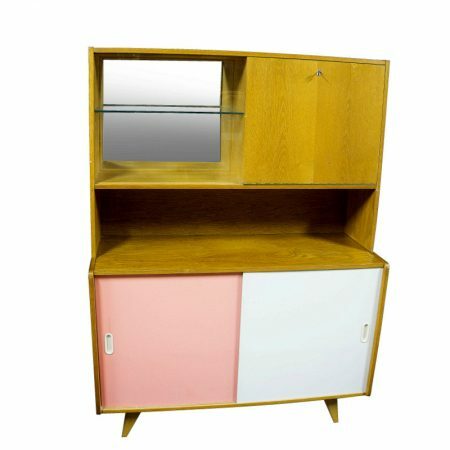 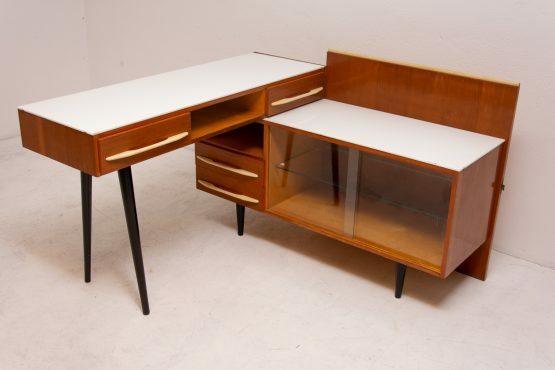 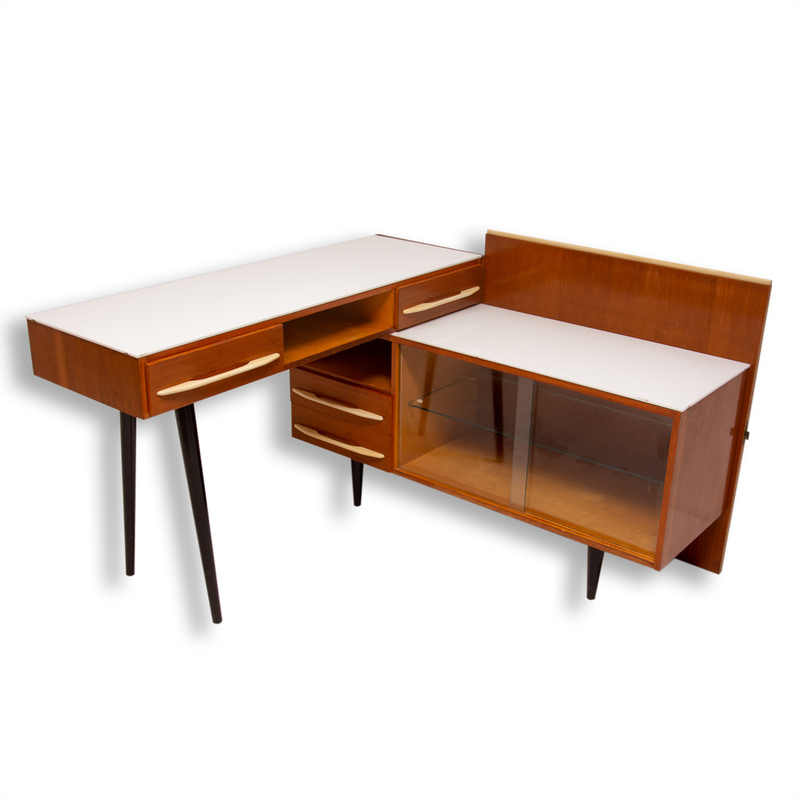 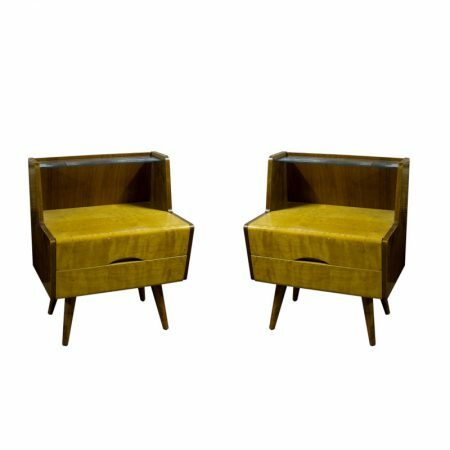 It was made in the 1960´s in the former Czechoslovakia. 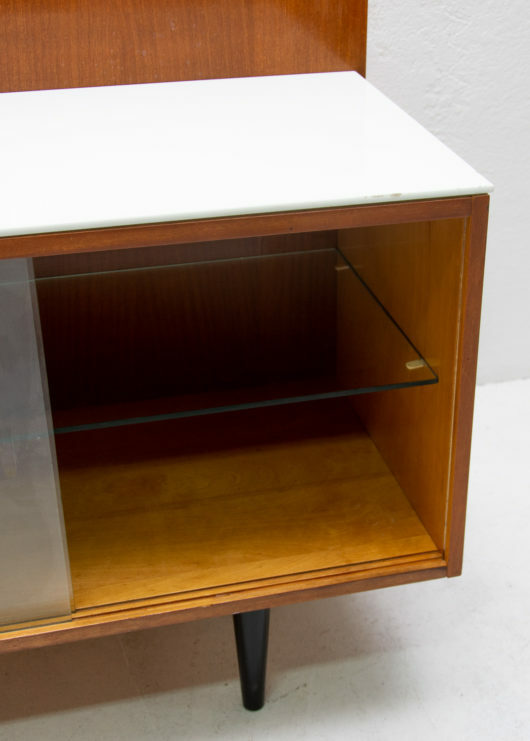 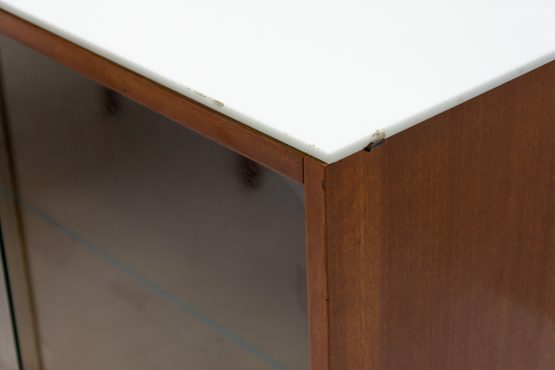 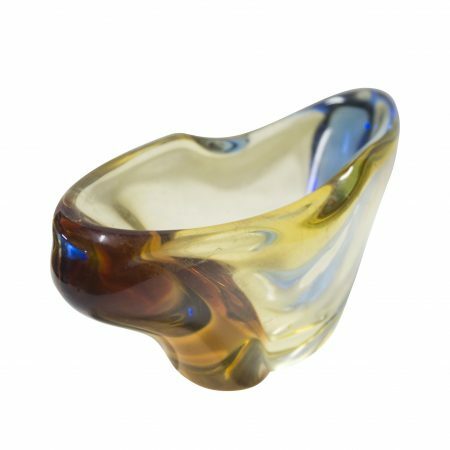 It features probably an ash wood or elm wood veneer and white opaxite glass on the top. 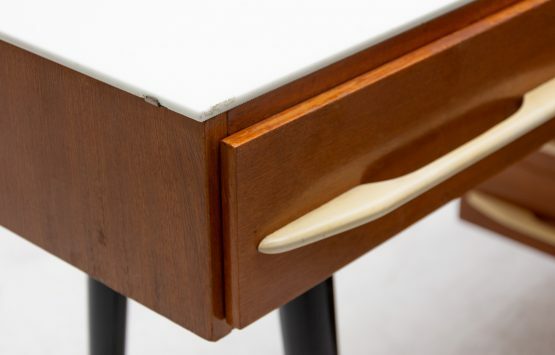 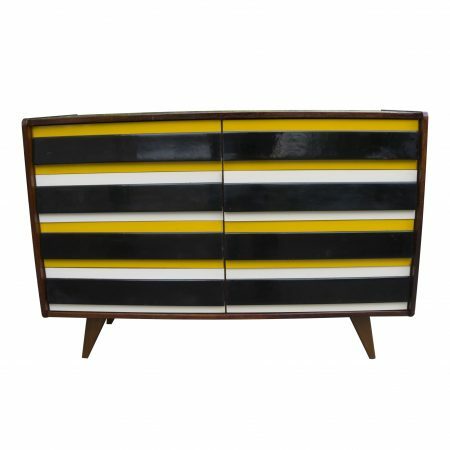 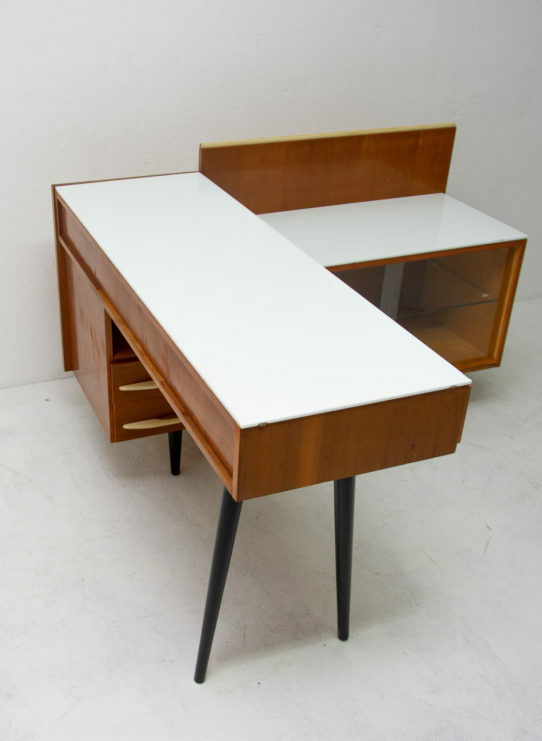 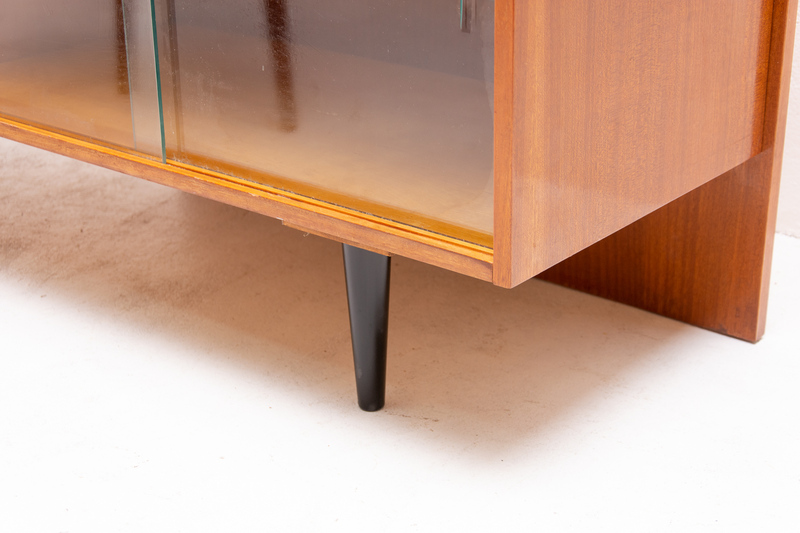 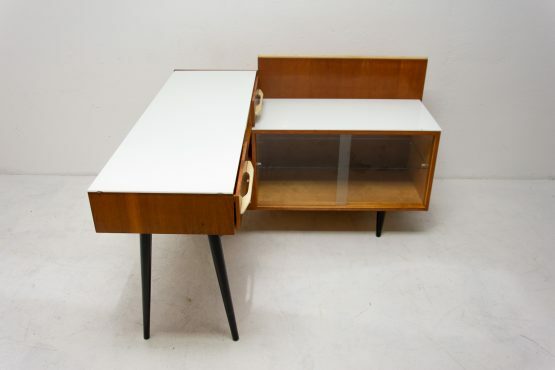 Very simple design, typical for period 60´s with white handles and black painted legs.